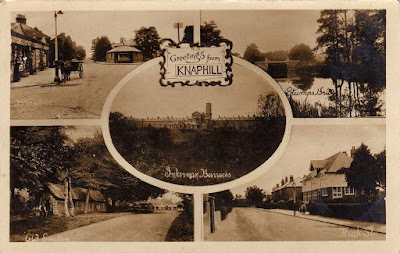 Last week's Flora Wonder Blog featured British nurseries of yore (1875) and began with a description of the Knaphill Nursery of Woking, Surrey, owned by Anthony Waterer. I was pleased to receive a comment from Mark at Stafford Lake Nursery who currently operates a conifer and hosta nursery in that area, and thankfully, I guess, I didn't make any mistakes about my retelling of the Woking history. By coincidence, one day after the blog was posted I decided to see a film that was reviewed to be: “a documentary that is a gorgeous tribute to the past.” And it certainly was, but shuddering too. A Peter Jackson (Lord of the Rings) movie entitled They Shall Not Grow Old brought old World War I archival film to life with 3-D and color, and all of the horrors of that carnage were shoved into my face. How sad, how pathetic I thought, that most American adults and children of today don't have a clue about the “Great War,” and who suppose that what happened in the past has nothing to do with them now. Well, a million British soldiers were killed plus all of the Germans, Americans and others...all for nothing really except to serve up for the scenario of World War II and more carnage. So for me, as a nursery owner, it was sobering to relive the British nursery world of 1875, and then to find that a few years later many nurseries, as well as other enterprises, collapsed because of the pointless war. A million British husbands, sons, brothers and friends were dispatched to the miserable wet, rat and lice-infested trenches and ended up with a bullet to the head. Sad, good-kid Geoffrey is not here anymore to spade out the Rhododendrons. Sorry, Mr. Waterer, no one is left to plant and tend to your nursery stock, and besides, no one has the cash to purchase your gaudy azaleas anymore. A few snowflakes are falling today and a major snow event is predicted for the weekend. As usual I am sick with worry, but at least my employees haven't marched off to war. 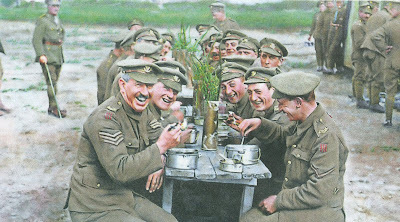 Anyway I highly recommend the film, They Shall Not Grow Old. Saw this yesterday. A miracle. You're right about our national historical illiteracy. There are kids here who never heard of Viet Nam, and there are adults who think our present political pit of despair is the worst this nation has ever withstood.